This "One Owner" Modern Steel Metallic 2016 Honda Accord LX is Absolutely Stunning***The Nicest 2016 Honda Accord LX we have seen in a while***Purchased Originally from Vatland Honda***Serviced it Whole Life at Vatland Honda***One Owner***Clean Car Fax History Report***Only 23K Miles***Passed the 182 Point Inspections to become a "Honda Certified" Vehicle***7 Year/100,000 Miles Warranty***Power Windows***Locks***Tilt***Cruise Control***So Much More***If You Are Looking for a Reliable, Gas Saving and Good Looking Vehicle, this 2016 Honda Accord LX is that car***Our Internet Department is Standing by to Answer any Questions you May Have***Vatland Honda is the "Dealer for the People"***Always a Whale of a Deal*** Recent Arrival! 27/37 City/Highway MPG Awards: * ALG Residual Value Awards * 2016 KBB.com Brand Image Awards 2016 Kelley Blue Book Brand Image Awards are based on the Brand Watch(tm) study from Kelley Blue Book Market Intelligence. Award calculated among non-luxury shoppers. For more information, visit www.kbb.com. Kelley Blue Book is a registered trademark of Kelley Blue Book Co., Inc. Vatland Automotive is proud to servce the following cities and communities: Vero Beach, Stuart, Fort Pierce, Palm Bay, Rivera Beach, Cocoa Beach,Greenacres, Titusville, Delray Beach, Winter Haven, Orlando, Coral Spring, Sebastian, and the Treasure Coast. Our Internet Value Priciing mission assures that you will receive real-time and transparent value pricing. We've done the negotiating for you!! Honda Certified***If you are Looking for a Great Deal, This 2019 Honda Accord LX is an Awesome Buy***This 2019 Honda Accord LX in San Marino Red Exterior with a Gorgeous Tan Cloth Interior***Only 6k Miles***Loaded with Power Windows***Locks***Tilt***Cruise Control and Much More***This 2019 Honda Accord LX passed its 182 Point Inspection and is Now a Honda Certified Car***Take Advantage of the Extra Warranties***Our Internet Department is Standing By to Answer Any Questions you May Have***Vatland Honda is the "Dealer for the People"***Always a Whale of a Deal*** Recent Arrival! 30/38 City/Highway MPG Certification Program Details: Type your description here Vatland Automotive is proud to servce the following cities and communities: Vero Beach, Stuart, Fort Pierce, Palm Bay, Rivera Beach, Cocoa Beach,Greenacres, Titusville, Delray Beach, Winter Haven, Orlando, Coral Spring, Sebastian, and the Treasure Coast. Our Internet Value Priciing mission assures that you will receive real-time and transparent value pricing. We've done the negotiating for you!! YES***YES***YES***You Will Say "Yes" to this Stunning 2018 Honda Accord 2.0T Sport***Folks, this car is Absolutely Stunning***Only 3k MIles***They Traded it for a brand new Honda Odyssey***This 2018 Honda Accord 2.0T Sport will Haul "Donkey" if you know what I mean***Sporty Rims***Power Seat***Power Windows***Locks***Tilt***Cruise Control and Much More***Beautiful Radiant Red Metallic Exterior will Make your Friends and Neighbors Jealous***Robin Leach from the Rich and Famous will be Calling you for an Interview***Our Internet Department is Standing by to Answer any Questions you May Have***Honda Certified***Vatland Honda is the "Dealer for the People"***Always a Whale of a Deal Recent Arrival! 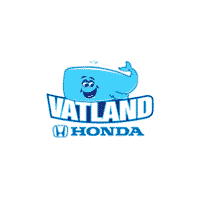 22/32 City/Highway MPG Vatland Automotive is proud to servce the following cities and communities: Vero Beach, Stuart, Fort Pierce, Palm Bay, Rivera Beach, Cocoa Beach,Greenacres, Titusville, Delray Beach, Winter Haven, Orlando, Coral Spring, Sebastian, and the Treasure Coast. Our Internet Value Priciing mission assures that you will receive real-time and transparent value pricing. We've done the negotiating for you! !